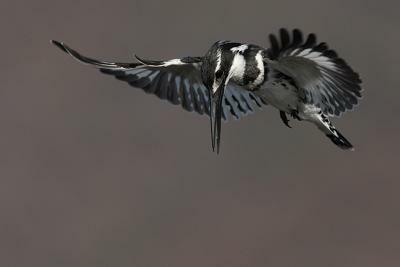 The Mankwe hide at Lake Mankwe is the ideal location for photographing Pied Kingfishers. This one was captured in the hovering position. As a photographer, I have visited numerous countries but I have never got a chance to photograph a Pied Kingfisher. They say these birds can be found only in Southern Africa. Well, if that is the case, I would better head to South Africa and the Pilanesberg!